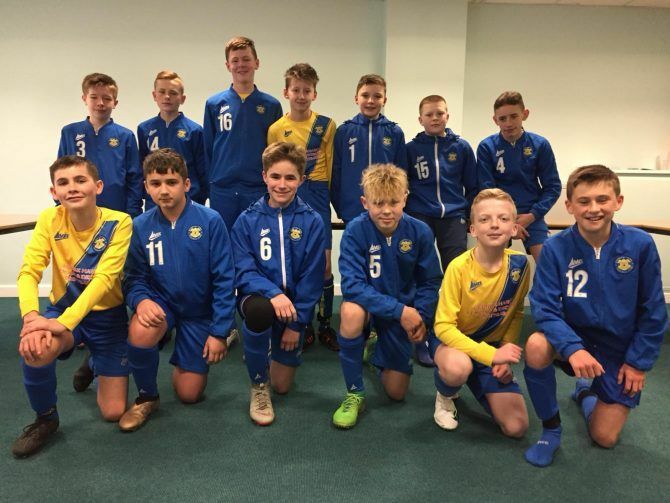 Stockton Town Under 13s have reached the Final of the Durham County Cup after a well deserved victory in the Semi Final against Whickham Youth Under 13. In difficult windy conditions Stockton went into the Semi Final on a run of 7 games undefeated. After an even start to the game Stockton fell behind to a goal from a competative Whickham side but this spurred the Yellows into action and they managed to equalise through George Wilkinson. In the second half Stockton stamped their authority on the game with some lovely flowing football and this culminated in a goal from Kai Pallister that sent Stockton into the County Cup Final. A great achievement for all the players, especially Man of the Match Harvey Skipper and Thomas Bell who have been with the team from the start at Under 7. A very proud day for the Management Team of Damo Skipper and Steve Young a reward for their hard work and dedication. A great day and full credit to Whickham who were very complimentary with regards to our Clubs facilities and the quality of the 3G pitch.